This is the time of year when gardens and farmer’s markets are exploding with all things green. Especially zucchini, cucumbers, and fresh herbs. I love it. 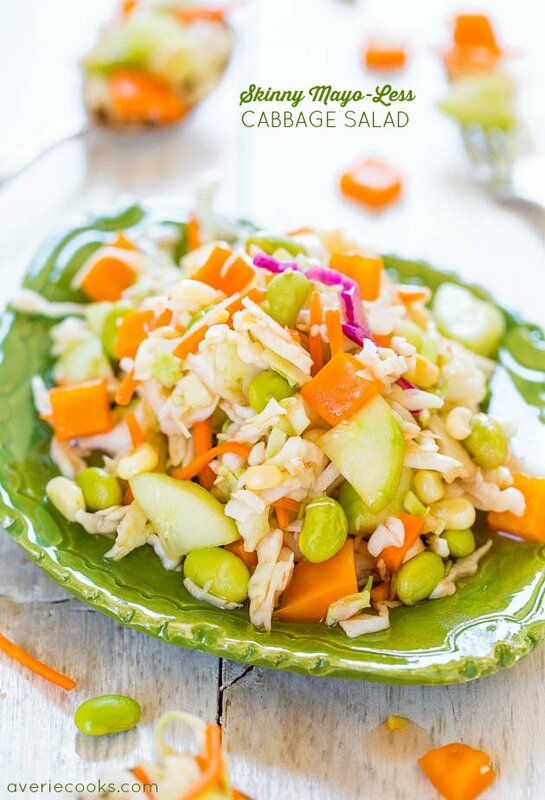 I combined some of my favorite green vegetables and herbs in this fast, easy, light, and fresh salad. It’s naturally gluten-free, vegan, and you’ll just feel healthier after eating it. 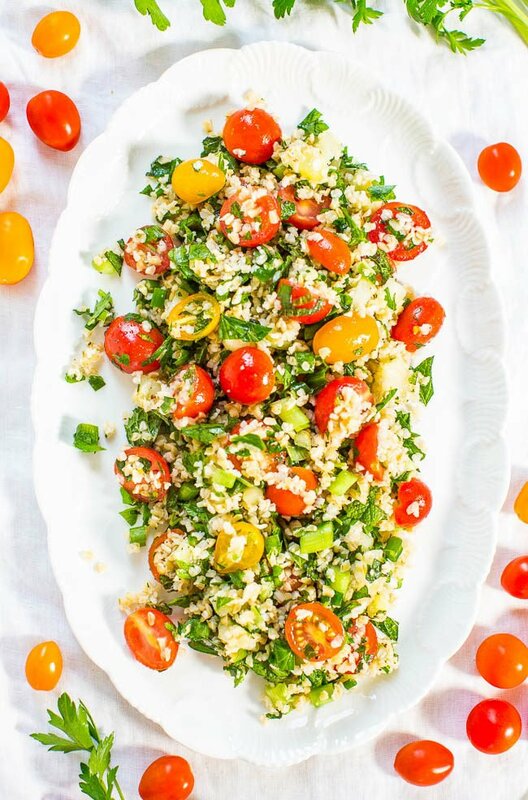 I’ve been on a quinoa and tabbouleh kick lately and I couldn’t get enough of this dish. Plus if zucchini and cucumbers are multiplying on your counter, the recipe will take a few off your hands. 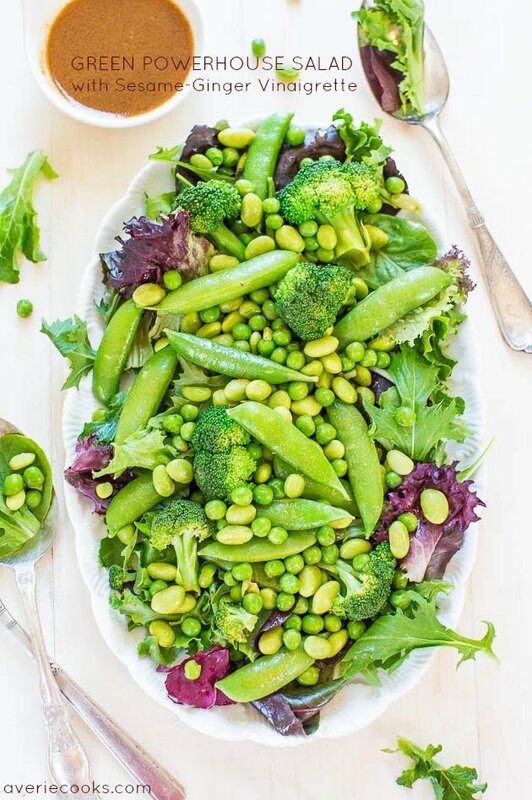 It’s a versatile salad and if you want to add avocado, steamed broccoli, peapods, edamame, or other favorites, feel free. Apple cider vinegar, lemon juice, dijon mustard really brighten up the dish while basil and mint give it depth and will keep you going back for more. I used a pinch of cayenne which doesn’t make it spicy but adds another dimension of flavor, but it’s optional. I combined some of my favorite green vegetables and herbs in this fast, easy, light, and fresh salad. It’s naturally gluten-free, vegan, and you’ll just feel healthier after eating it. 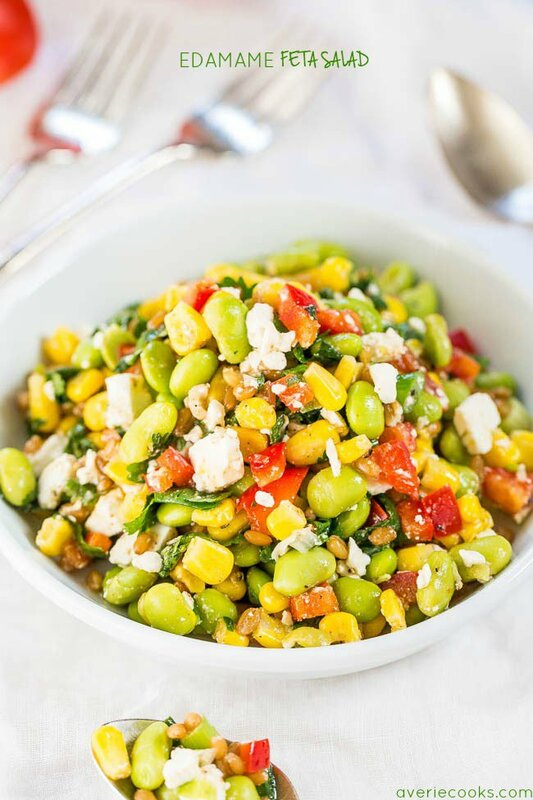 It’s a versatile salad and if you want to add steamed broccoli, peapods, edamame, or other favorites, feel free. Apple cider vinegar, lemon juice, and dijon mustard really brighten up the dish while basil and mint give it depth and will keep you going back for more. 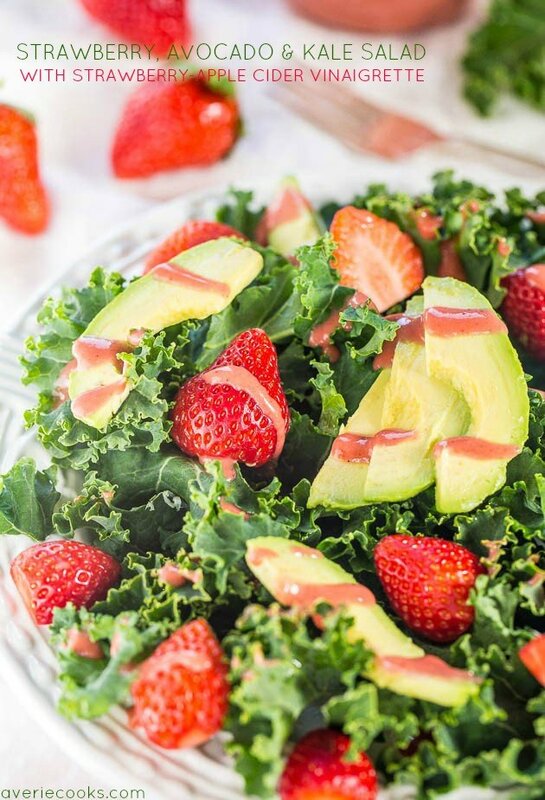 The salad is great right away but it’s a perfect make-ahead recipe because the flavors develop over time and I think it tastes better a day or two after making it. You can either serve it warm or cold and since there’s no mayo it’s a great salad for lunch boxes, picnics, potlucks, and parties. To a large skillet or saucepan, add the quinoa and cook according to package directions. While the quinoa cooks, prep and chop the remaining ingredients. 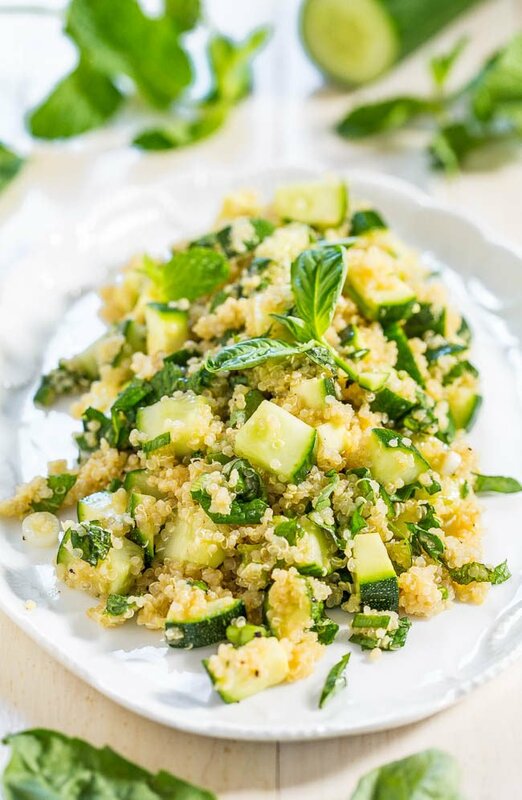 To a large bowl, add the zucchini, cucumber, green onions, basil, and mint; set aside. To a large glass measuring cup or medium bowl, add the olive oil, apple cider vinegar, lemon juice, dijon mustard, honey, lemon zest, salt, pepper, optional cayenne, and whisk to combine. Transfer cooked quinoa to the bowl and stir to combine. Taste, check for seasoning balance, and if necessary add more salt, pepper, more honey, more lemon, etc. Dish can be served warm and immediately or stored in an airtight container in the fridge for up to 5 days. The flavors develop over time and it tastes better a day or two after making it, and can either be served warm or chilled but I prefer the leftovers chilled. Note that the vegetables will continue to release their natural water and juices as time passes. Wow, Averie! 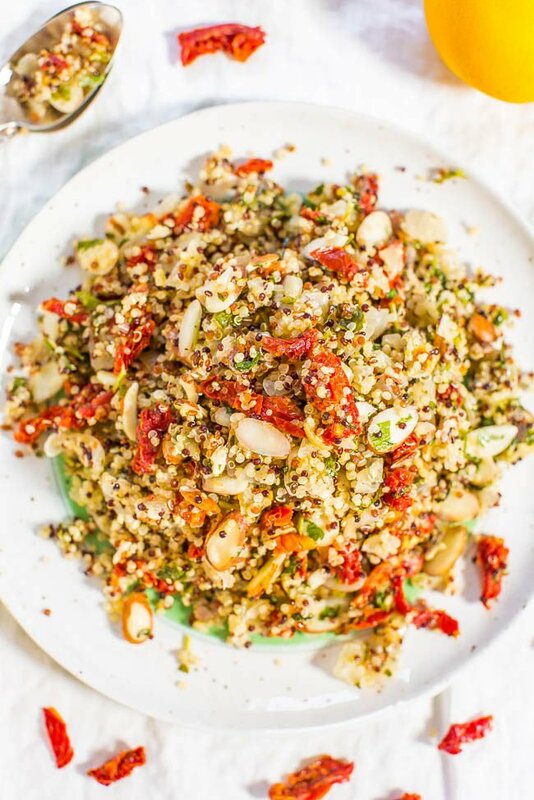 This quinoa salad looks so light, fresh, and delicious! 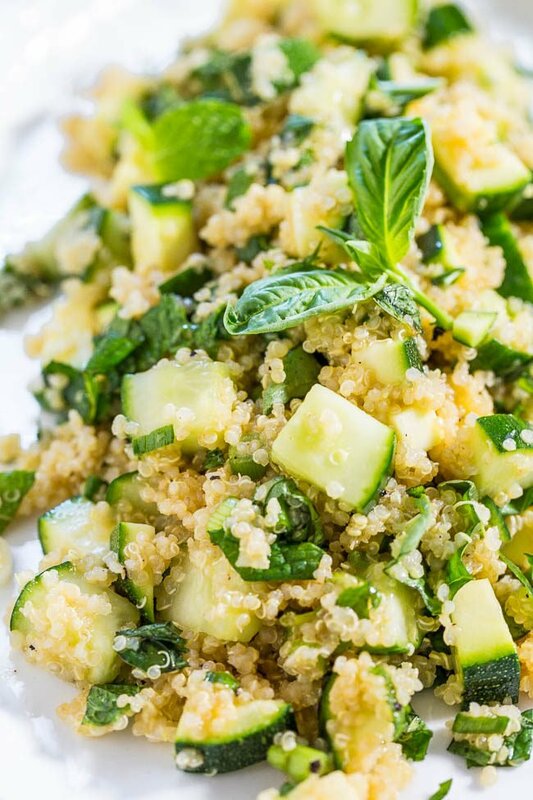 I love that you used basil AND mint…what a winning combination – Pinned! I love that combo, too, and thanks for pinning! 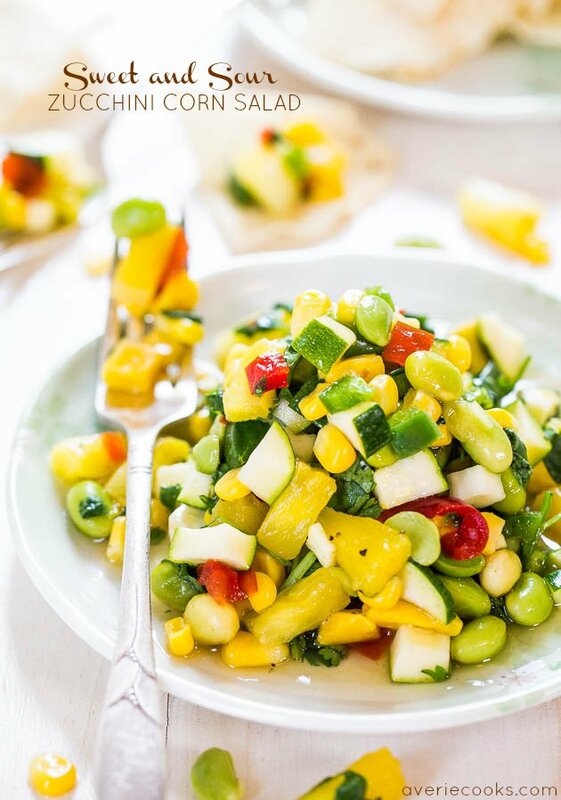 Another great looking side dish–and I love basil and mint together! This will be very easy for me because I already have a container of plain cooked quinoa stashed in the freezer. I loved this, Paula! I have even re-made it since I first made it, and everyone I’ve shared it with has gobbled it up, too! I feel so healthy just LOOKING at these photos! All that green! I’ve actually not even been to the farmers market this year (worst healthy food blogger award goes to me!) but I might need to make a trip, just of this! Pinned! Well I didn’t actually buy any of this produce at the farmers market but even the regular grocery stores are a joy to shop in this time of year! Thanks for pinning! Loving all the fresh herbs in here – this is my kind of salad! Oh yum! This looks so delicious! And bonus for being healthy! Now that Mel ripped out the zucchini in frustration, our cucumbers are taking off. 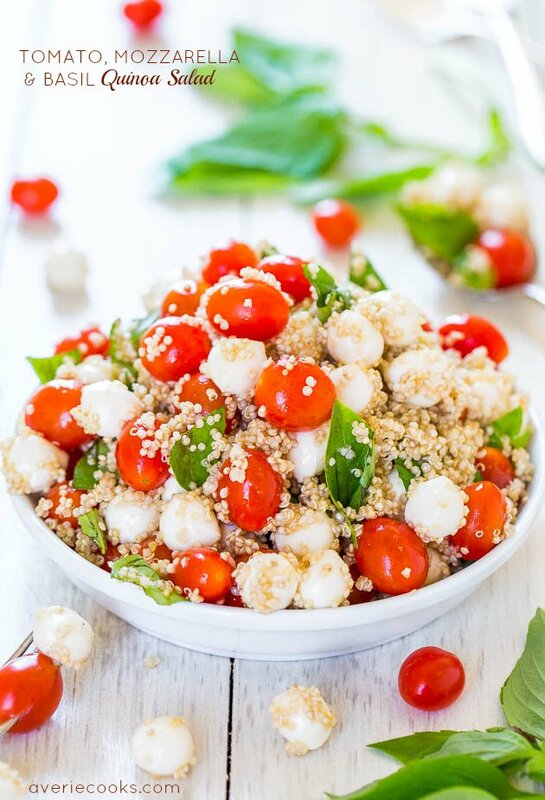 This salad looks so good and refreshing – I need to get with the quinoa program! The combo of the zucchini and cucumbers was perfect and the mint and basil, I seriously loved this salad :) That’s too funny about Mel!! 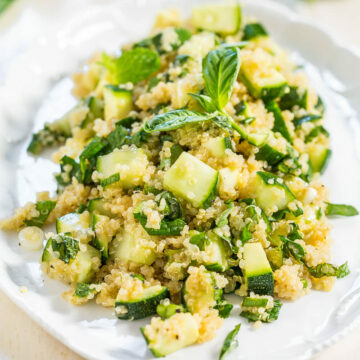 This is the perfect detox salad, and use your zucchini salad, I love it and also I have salad bowl envy lol, yours are so cute, where do you find them? All over but mostly thrift stores or antique stores, sometimes places like Anthropolgie, Williams-Sonoma, and others but it’s really a hunt and peck game! I love summer season. 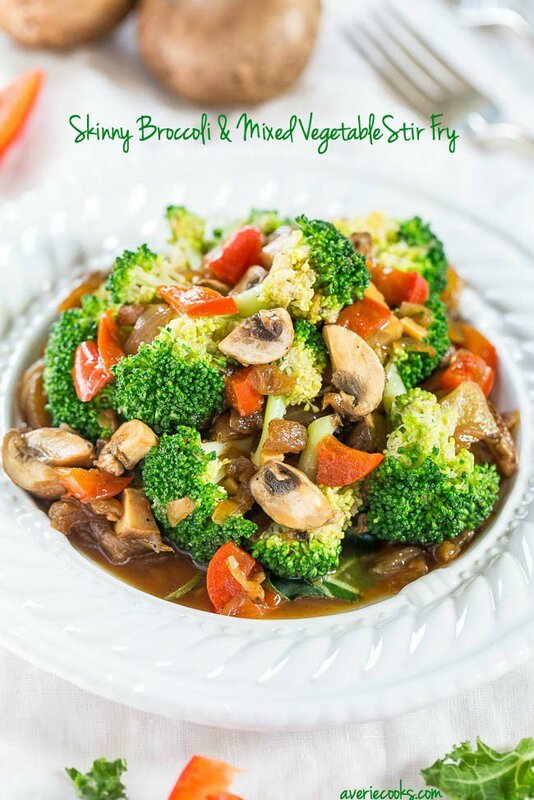 So delicious veggies and many possibilities. 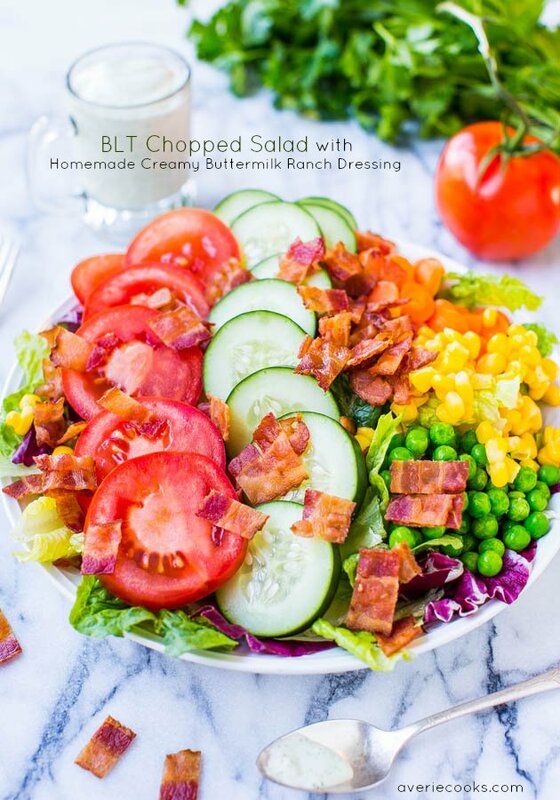 The salad looks delectable! 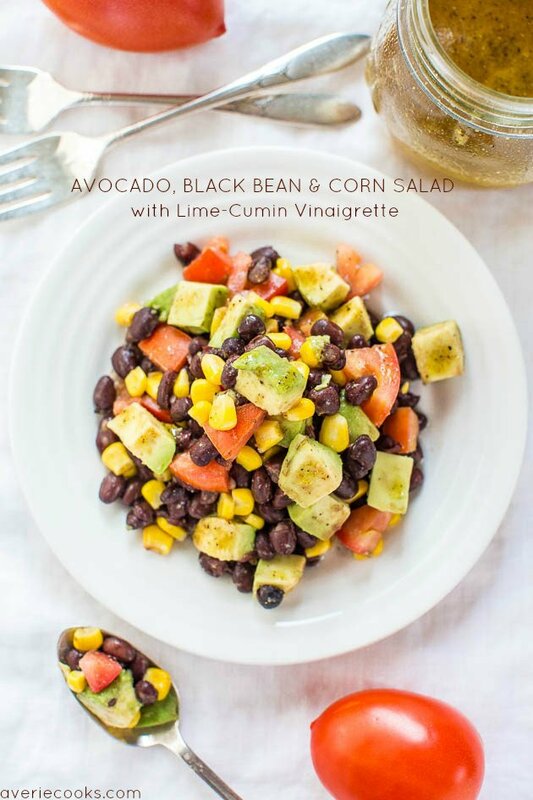 to eat heavy lunches because the rest of the day just drags..can’t wait to try this. Good cold or hot = my kind of salad! I hope you make this as written (I know you are like me and can’t help yourself but make changes) because I just loved it so much and I know you will too! Looks delicious! Can you confirm it’s 1 cup of uncooked quinoa (and then cooked), rather than 1 cup of cooked quinoa? Thanks! Yes 1 cup uncooked (and I just clarified that in the post). Enjoy! Averie this is such a unique delicious looking salad!! Love the veggies & herbs that you used here!! Pinned! I made this last night. It was delicious! Loved this green goddess dressing, but mine came out like more of a paste than a liquid. I had to add more water and oil. Overall, a big hit and I will make it again! Thanks a lot for sharing this recipe.